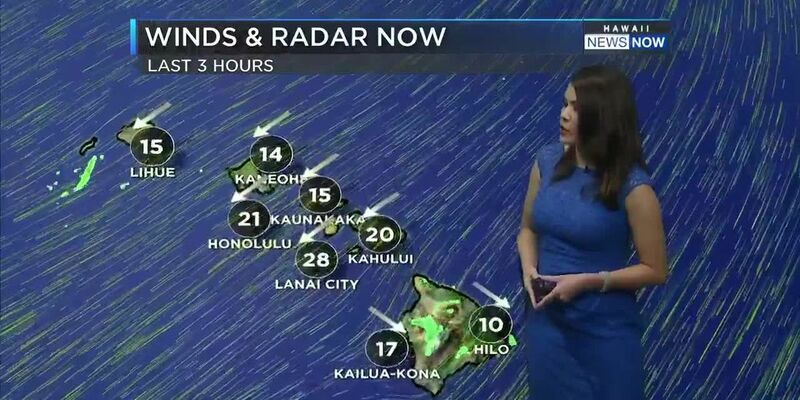 HONOLULU (HawaiiNewsNow) - The scope of the mess left behind by Friday night's torrential rains on Oahu came into focus Saturday: A number of homes had sustained major flooding, rising waters had destroyed cars, and debris blocked roads from Kailua to Hawaii Kai, including the major artery through east Honolulu — Kalanianaole Highway. That highway closed Friday night as floodwaters rose — and cars got flooded. And crews spent much of the day clearing debris from the highway, finally opening all lanes by 3 p.m. Residents in hard-hit areas also spent much of the day clearing out debris and muck from their homes and yards. On Friday night, Aina Haina resident Shauna Tuohy says she was in her living room watching TV with her 90-year-old mother when she suddenly noticed brown water gushing through the wall. "The water came through my mom's bedroom and down the hallway. There was just a raging river through the house," said Tuohy, who lives on Papai Street. Neighbors next door say the heavy rains caused the nearby Wailupe Stream to flood, sending waves of brown water crashing into their backyards and homes. "The stream was overflowing and you could hear it coming up to the door and then it just started to inundate the house. For a split second, I said, 'Oh no we're in danger. We got to get out of here,'" said resident Dwight Perkins. "We have an 8-foot retaining wall, and so it (the water) came right up over that in just a few minutes," resident Meymo Rego said. The fast-rising waters also trapped drivers on Kalanianaole Highway, and by Saturday morning the water still hadn't receded from the grounds and building at Calvary by the Sea Lutheran Church. At the Hawaii Kai Retirement Community, resident Arthur Kam said even though many of his belongings are destroyed, it could have been much worse. He was supposed to bring his wife home from the hospital Saturday to begin at-home hospice care. "Can you imagine her on the bed and all this thing going on? Water was at the front door. When I opened it up, the water flowed out and wet the whole place," said Kam. Residents say they were surprised by the severity and strength of the storm. And while the recovery and clean up efforts will take some time, they say they're happy no one was seriously hurt. "It's just all material stuff. We'll get through it. Clean it all up," said Perkins. Tuohy added, "I don't know where to start. It's just pretty devastating." 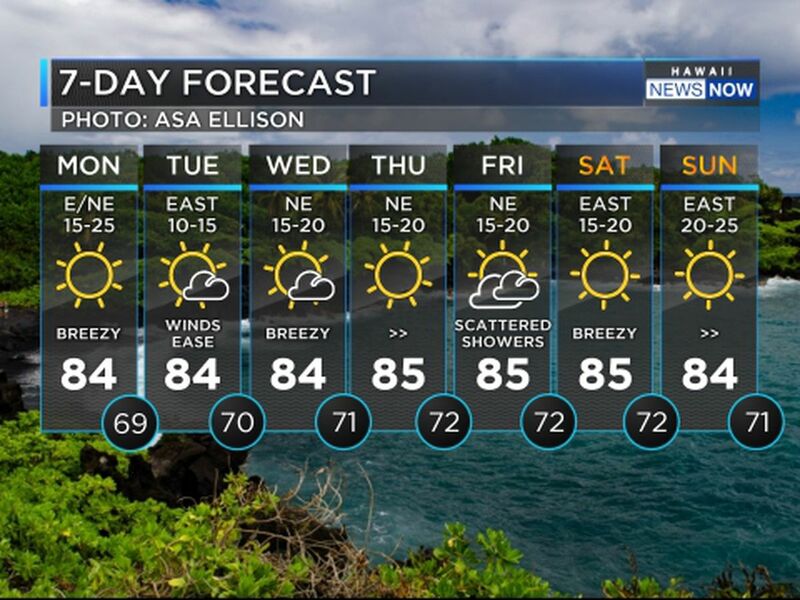 A flash flood warning for Windward and East Oahu was allowed to expire at 11:45 p.m. Friday, but forecasters warned the threat of flooding remained given that the ground in many communities was saturated. During the heaviest rains, firefighters rushed to help those stranded in their cars as waters rose, at times getting stuck in the mess themselves. Roads were also reportedly impassable in parts of Waimanalo. 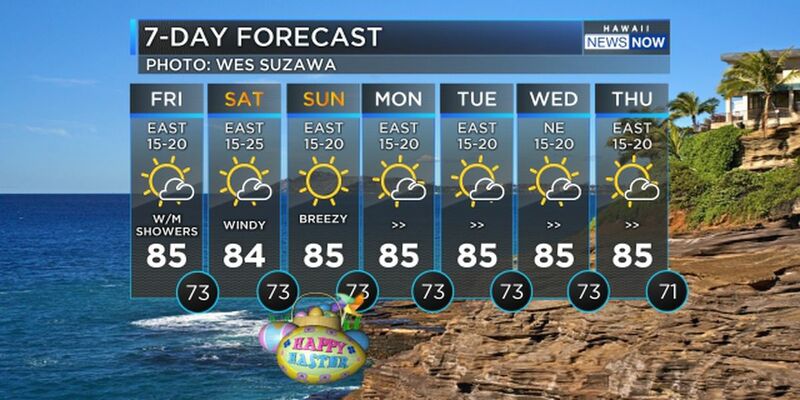 On Friday night, firefighters responded to 42 weather-related emergencies, most in east Honolulu and Windward Oahu. 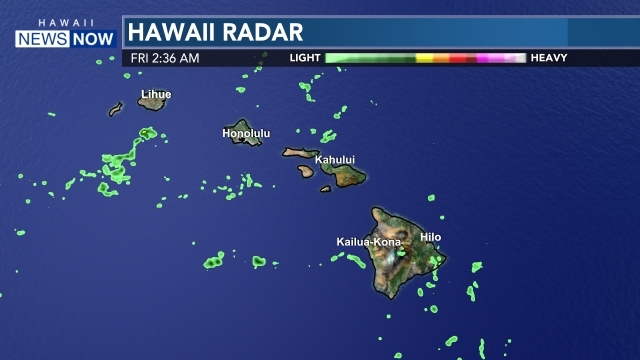 About 8 p.m. Friday, the National Weather Service in Honolulu warned a strong thunderstorm was nearly stationary over Hawaii Kai, with frequent cloud to ground lightning and winds in excess of 40 miles per hour. Niu Valley recorded 5.57 inches of rain. Maunawili picked up 5.03 inches. Manoa's Lyon Arboretum saw 4.42 inches. Several other gauges in southeast Oahu recorded 3 to 4 inches of rainfall.